Brand New Zippo range to add to our great collection of pens. Engraved Silver Chrome Alleghany Zippo Pen with Black ink. Each ballpoint pen comes in it's own black zippo gift box. 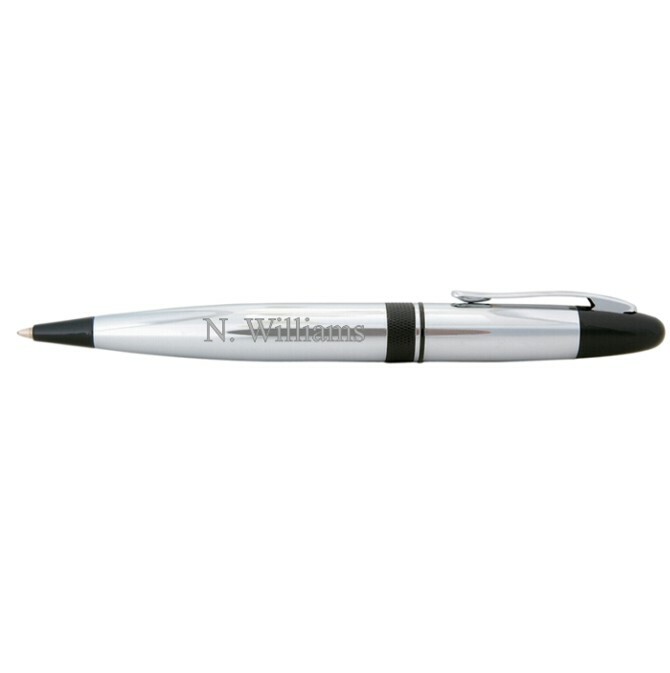 This great pen has a shiny chrome finish and measures 13.8cm x 1.3cm at it's widest part. Personalise and engrave this amazing pen to make a truly unique gift. The engraved area can fit a name, initials, company name or a maximum of two words. Ideal gift for Father's Day, Christmas, Retirement or Anniversary...the choice is endless!